The Export-Import Bank Is Tearing Apart The GOP. Here's Why. The Export-Import Bank Is Tearing Apart The GOP. Here’s Why. The Export-Import Bank has beeen at the center of the latest congressional intrigue, with senators lobbing some choice verbal assaults at one another over the weekend. The fireworks came during debate over whether to add an extension of the Bank’s charter, which expired at the end of June, to a much-needed highway funding bill. 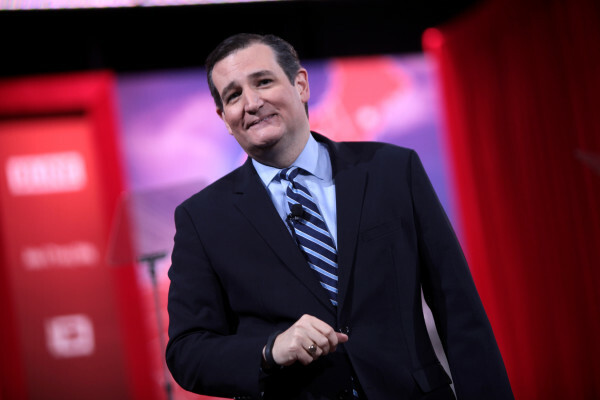 Sen. Ted Cruz referred to Mitch McConnell, the Majority Leader, as the “so-called Republican leader,” and alleged that McConnell that had reached a deal with Democrats and turned on his own party in the process by preventing amendments be added to the highway bill. McConnell had promised amendments would be allowed, so Cruz accused him of lying. “We serve the people, not our own egos,” retorted Sen. Orrin Hatch of Utah, a Republican who has served in the Senate for nearly forty years. But what exctly is the Export-Import Bank (a.k.a. “Ex-Im”) and what is this fight about? The Export-Import Bank has been around for eight decades, since the New Deal era of the 1930s, and serves mainly as a tool for the federal government to promote U.S. exports. It does that by providing loans and loan guarantees to foreign customers in order to buy American goods, a function that many conservative critics like Cruz deride as corporate welfare. But, as its defenders point out, many other countries do much the same to give their own exports a boost. “For us to be the only country that leaves these outstanding companies high and dry makes absolutely no sense,” President Obama told reporters last week. Sen. Lindsey Graham, a South Carolina Republican, is the only GOP presidential candidate to support Ex-Im and is also one of the leaders of the party’s pro-business, moderate wing. Former Floriday Gov. Jeb Bush is against it now, but was associated with a company that received $74.3 million in loan guarantees to sell pumps to Nigeria. Many conservatives, particularly those further to the right and aligned with the “tea party,” view the Bank as a boon to well-connected big business and a barrier to smaller entrepreneurs. This kind of “crony capitalism,” in which the free market is skewed by companies that can make and exploit ties with politicians and government, has been a high-profile target of those on the right. the vast share of the total financing it provides boosts large corporations: In 2014, more than $15 billion — or 75 percent of the money authorized by the bank — went to support exports by companies such as Boeing, Caterpillar and General Electric, according to the bank’s annual report. But Republicans aren’t the only ones who take aim at Ex-Im for these reasons. Their arguments, in fact, sound very similar to ones made by Democrats in the past, including then-Senator Obama, who called it “little more than a fund for corporate welfare” back in 2008. But on net, the fees and interest the Bank charge easily cover the cost of the guarantees. Consequently, in 2013 the Ex-Im Bank made about $1 billion for the Treasury Department. Over the past five years, it’s made about $2 billion in total. And, Yglesias noted, Ex-Im’s opponents have resorted to using some fancy accounting tricks to make the exact opposite argument. But, unsurprisingly, those opponents make the exact same claim in reverse. President Obama is also correct in saying that most other countries we trade with have similar systems to benefit their own industries. So, yes, in a strict sense, keeping Ex-Im would “level the playing field.” But the argument is whether or not that is something worth doing. And that turns it into a political fight. The current conflict over the Ex-Im Bank has been primarily within the GOP, with the unique and rather remarkable weekend situation in which Sen. Ted Cruz, a presidential candidate from Texas, accused Majority Leader Mitch McConnell, of Kentucky, of lying. Such bald-faced charges usually aren’t made on the floor of the Senate, particularly between senators of the same party. In response, many of the “establishment” Republicans took to the floor Sunday to criticize Cruz. The issue is politically volatile because it pits the establishment business wing of the party against its energetic tea party wing. The need to play to the base voters who make up the primary electorate, and who are generally more conservative and sympathetic to tea party thinking, has pushed most of the presidential candidates to take a position against it. So while many of them, like Wisconsin Gov. Scott Walker and Kentucky Sen. Rand Paul, likely agree with killing Ex-Im from an ideological perspective, they also have a strong political incentive to stick to that view. But one of the ironies of this debate is that the fierce opposition to Ex-Im was borne out of a kind of crony capitalism itself. Delta, an American airline not eligible for Ex-Im loans, made a big lobbying push to kill the agency and neutralize what it saw as an advantage held by foreign competitors who were eligible for those loans in purchasing Boeing aircraft. So-called “reform conservatives,” in a bid to apply their libertarian philosophy to government, latched on to this effort and groups like the Club for Growth, Heritage Action, Americans for Prosperity, and FreedomWorks have gone to political war to get Ex-Im abolished. That tea party-aligned network is largely backed by billionaires Charles and David Koch, whose influence has been heavy in Republican politics since the 2010 midterm elections brought the tea party to prominence. While there are good points on both sides of the argument, the actual implications of the Export-Import Bank do not seem anywhere near to matching the intensity of the debate. Rather, the political fight over Ex-Im can probably best be understood as a tactical marriage between one set of interest groups (motivated by ideology in the case of reform conservatives and practicality in the case of businesses like Delta) to compete against another set (similarly motivated by a mix of ideology, in this case to promote U.S. interests abroad, and practicality). In that regard, it’s a useful litmus test for Republican primary voters but in economic terms, a pretty small drop in the bucket. Unless, of course, you happen to be either Delta or Boeing – then, the Export-Import Bank means something quite real to your bottom line.